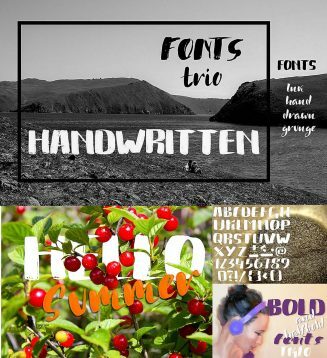 Introducing handwritten ink dry brush bold fonts trio. 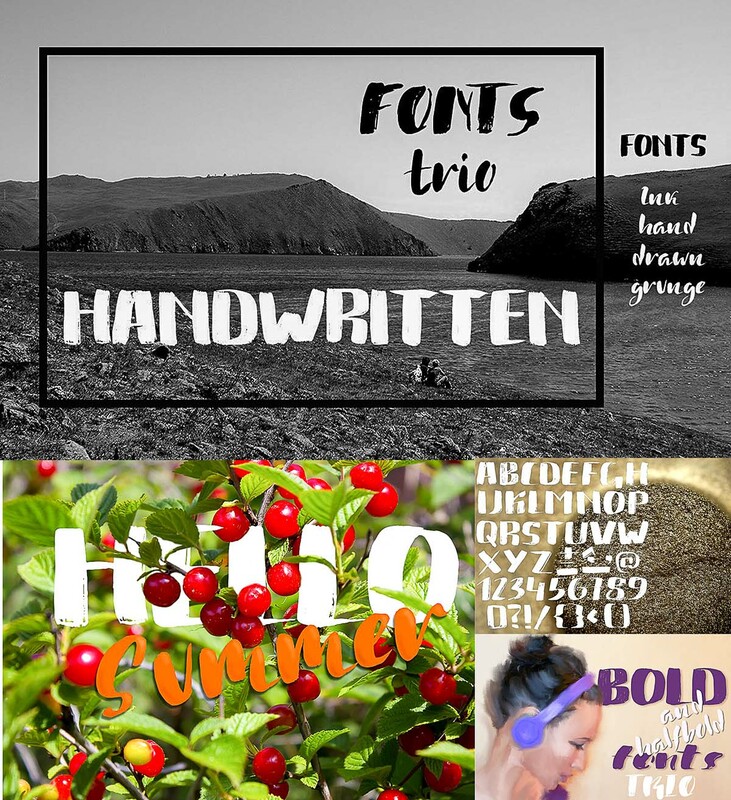 Perfect for grunge projects, greeting cards, typography work and more. Tags: bold, font trio, grunge, hand drawn, script, watercolor.